My forty-fourth stadium of 2011 was on Monday 1st August 2011 at Stonebridge Road in Northfleet, Kent. The match was Ebbsfleet United vs. Gillingham in a friendly game. Stonebridge Road is only 400 yards from Northfleet railway station so is easy to get to when going via train. 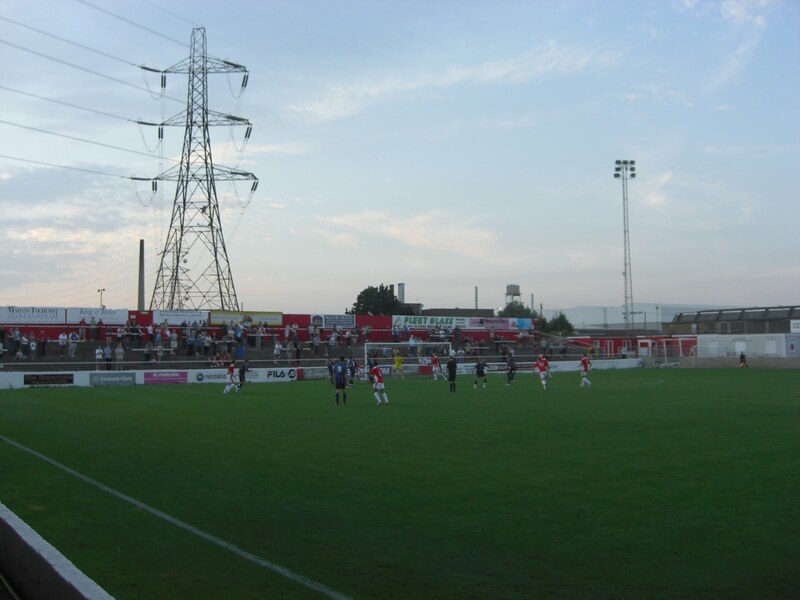 The ground has been home to Ebbsfleet United (and its previous incarnations) since 1905. The stadium has two all-seater stands with the rest being terraced standing areas. The Main Stand on the north-east side runs about half the length of the pitch and can hold around 500 fans. To the left of this stand there is a small terraced area in between the Main Stand and the Northfleet End on the south-east side of the stadium. The Northfleet End, the most recent development to the venue, is an all-seater stand capable of holding around 500 fans. Rather than being built from scratch the club built the seats on top of the original terrace meaning there is a large area of disused terrace behind where the seats end, giving it a slightly odd look. The other two viewing areas are the Swanscombe End and the Stonebridge Road Terrace. The Swanscombe End is an open terrace on the north-west side of the ground, where away fans usually reside. The Stonebridge Road Terrace is terrace running the length of the pitch on the south-west side of the ground. It has uncovered quarters on its left and right sides with the middle half of the terrace under a roof. This is where I watched the game from. 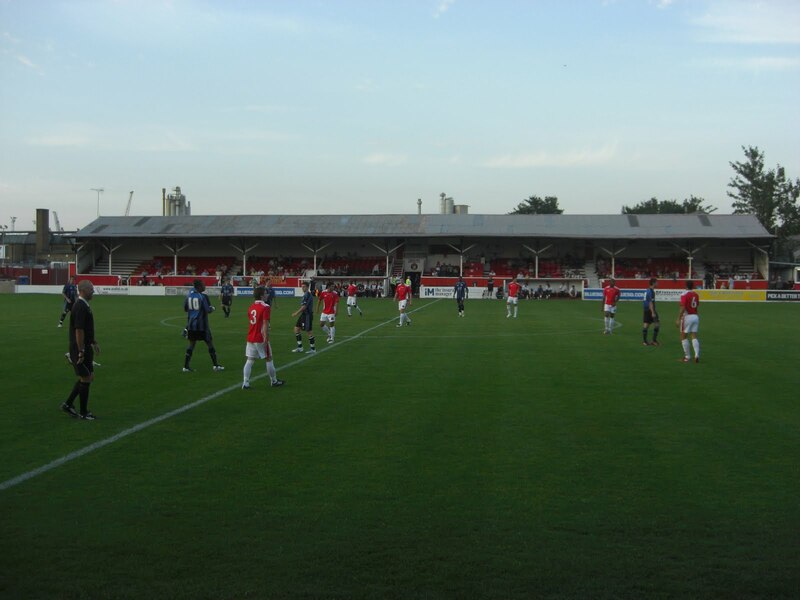 The game was a pre-season friendly between Conference National side Ebbsfleet United and League Two side Gillingham. The first half saw good running from the non-league side who created numerous chances but were unable to score. Their league opponents rarely threatened and so it remained goalless at the break. Ebbsfleet started off the second period in tenacious fashion, carving out more opportunities, but they were let down by their finishing and could not score. Just when it looked like the hosts were never going to score they got their reward on 66 minutes when they raced into the Gillingham box and drove the ball home. Ebbsfleet continued to be the better team but could not add to their lead meaning the game finished 1-0 to the hosts.